Soap weighs about 6 oz and is scented in a very strong men's fragrance. Made with shea butter, olive oil, and coconut oil. 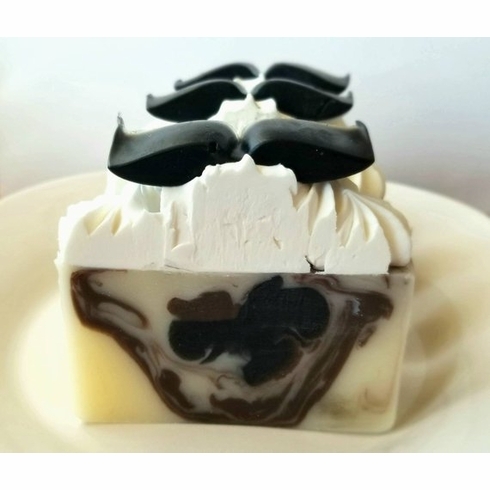 Base has cream, brown, and black swirls and is decorated with pipped cold process soap and topped a black mustache soap. Comes wrapped and ready to be given as a gift.